From time to time, Crochet Divas will be bringing you our very favorite crochet video tutorials available on various websites and on YouTube, to help inspire you, as well as improve in your crocheting projects! The crocheting video tutorial we’re featuring today is brought to us Sarah-Jayne from Bella Coco, a website about a variety of different home and crafts topics, including a lot about crochet of course! Sarah-Jayne also runs a very popular YouTube channel, also called Bella Coco, which I encourage you to check out. In this particular video Sarah-Jayne show us how to crochet a granny square, with particular instructions being given which are ideal for beginners. Watch the entire video below, for full instructions. You can also find written instructions for this project here. 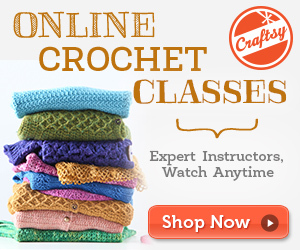 This video tutorial was created by crocheting expert Sarah-Jayne of Bella Coco. I encourage you to visit her website and also subscribe to the YouTube channel, to access various free crochet patterns and get inspired for your next project!